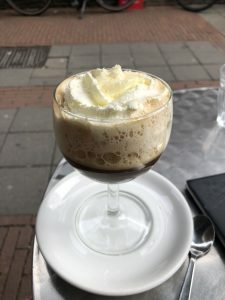 Now that we are out of London, I can get back to coffee and boy does Amsterdam know how to do coffee. 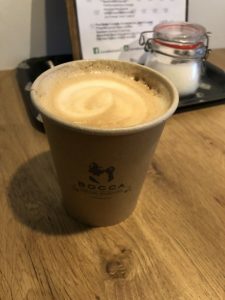 Looking back at London, I think maybe I had 2 really great cups of coffee, but in Amsterdam, I can’t say I’ve had a bad cup of coffee yet. 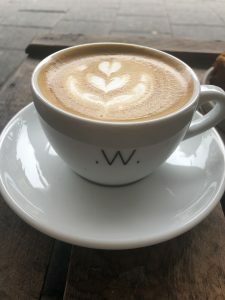 I mostly order Flat Whites, but sometimes I up it to a Latte. 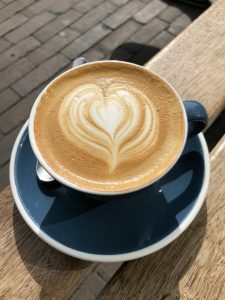 For my fellow coffee lovers, I thought I’d make a list for you and honestly, I love coffee, so I also love writing about coffee! 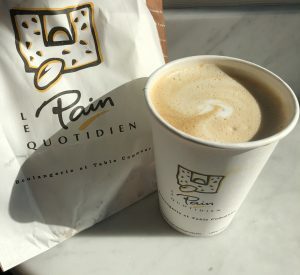 Le Pain Quotidien: I’m not ashamed to say Le Pain was my first cup of coffee upon arriving in Amsterdam. Always a great choice and when you are faced with a whole new city, sometimes a gal just needs a good cup of coffee. UPDATE: I never went to a Starbuck in Amsterdam, I refused to since there were so many great places. I did, however, stop at Le Pain almost everytime, I went to the grocery store. Le Pain was probably my go-to chain coffee shop in Amsterdam. 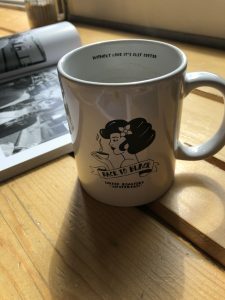 Bakers & Roasters: Stopped here for brunch one-day and the coffee was fabulous. 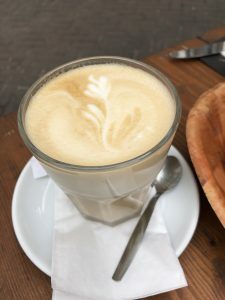 The brunch was good too, but the coffee was on point! 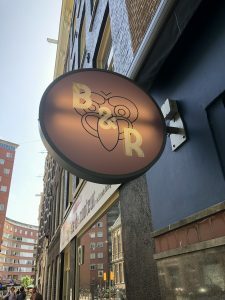 UPDATE: I actually went back two more times for brunch, it was by far one of the best brunch places we went to in Amsterdam. 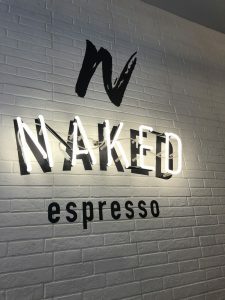 Naked Expresso: I mean come on, how was I not going to stop in here! Jim and I were wondering about the Red Light Districts, so it seems appropriate. 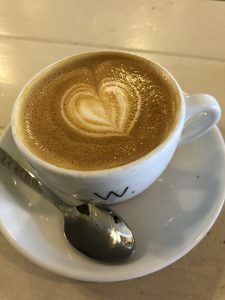 Lot Sixty One: By recommendation, Nolan and I stopped in this coffee shop and it did not disappoint. 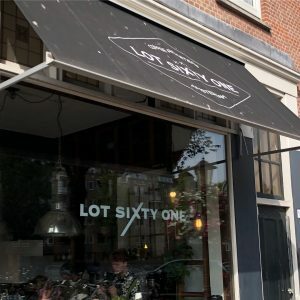 Update: I went back twice to Lot Sixty One. 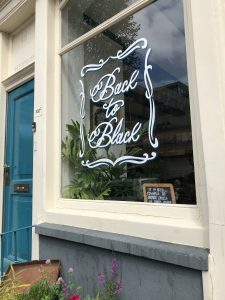 By far the coffee shop that took the most “care” when making a cup of coffee. 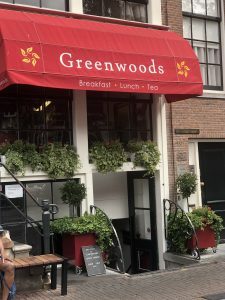 Greenwoods: Research said this was one of the best brunch spots in Amsterdam, so I had to try it. 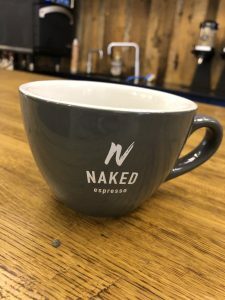 The coffee was just ok, nothing special and I also personally prefer my coffee in a mug. 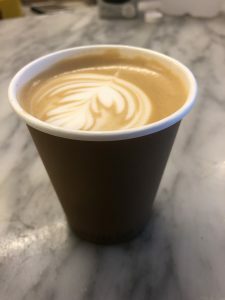 Brasserie 3-5-3: Not even a good cup of coffee, it was too “specialty” for me personally and again, need my coffee in a mug. 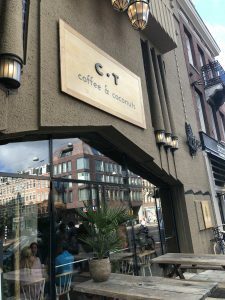 Coffee & Coconuts: I rode my bike by this place and of course had to stop. 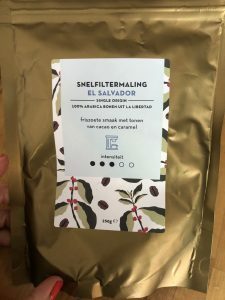 I was really looking forward to the coffee, I had very high hopes. The coffee was just ok. Very cool store and lots of great menu items, but I wasn’t in love with the coffee. 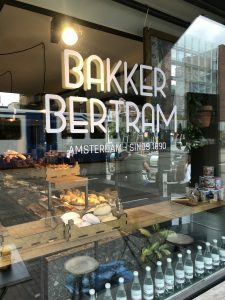 Bakker Bertram: Not impressed. The pastry was not fresh and the coffee was bitter. Though, I did love sitting outside and writing a few postcards. Back to Black: One of my favorites for sure. As the name suggested, I just got a French press coffee and it was so smooth. Great little location. I sat and read my book for about an hour while I enjoyed my coffee. 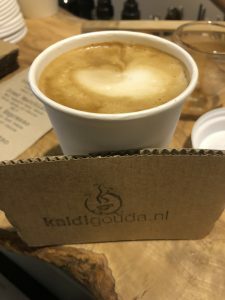 De Koffieschenkerij: AMAZING. The flat white was perfect and I got a piece of coconut cake that was literally OUT OF THIS WORLD. 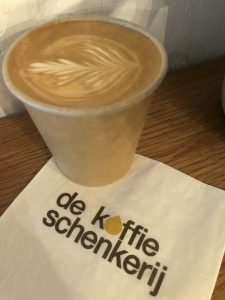 UPDATE: I went back to De Koffieschenkerij for my last Sunday morning in Amsterdam. I took my computer and sat upstairs in the loft area for about 3-hours. I enjoyed a couple of cups of coffee, another piece of the amazing coconut cake, and just took in the city one last time. 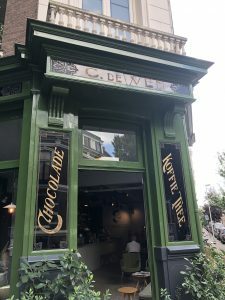 This was by far my favorite hang out coffee shop in Amsterdam. 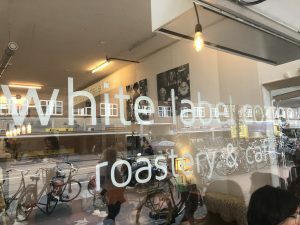 White Label Coffee: Coffee wasn’t really great. 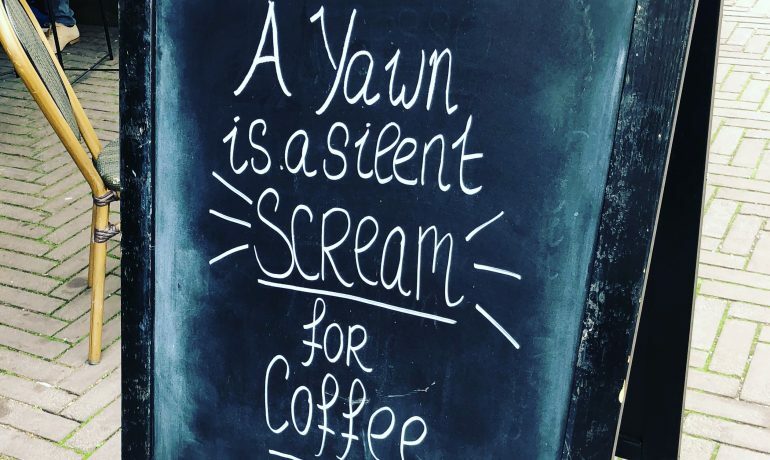 The coffee was bitter and the pastry wasn’t fresh. However, this is one of the stops that Nolan and I visited together, so we had a lovely chat outside enjoying our coffee during one of our day-dates. 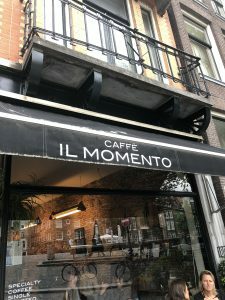 Caffe Il Momento: This was the last coffee shop I tried in Amsterdam and I ended on a good note. 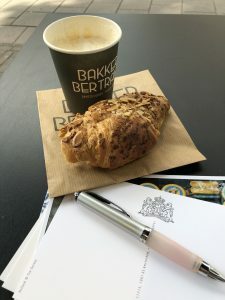 The coffee was A-mazing and I also got a croissant. It was by far the best croissant I had in Amsterdam. 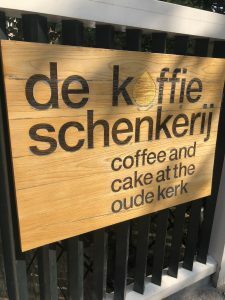 Cornelis Koffietentje: In Utrecht, Very cute and it was a great cup of coffee. 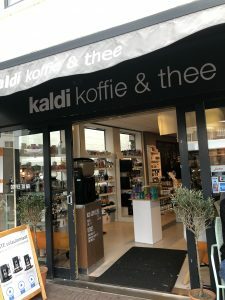 Kaldi Koffie & Thee: In Gouda, I loved the shop, Nolan and I smelled all the teas and I really enjoy looking at all the coffee supplies. It’s also worth mentioning that Nolan made me coffee most every morning at the house. 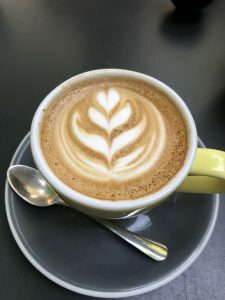 I’ll enjoy a good coffee shop for sure, but there’s nothing quite like sitting in your PJs and enjoying a great cup of coffee at home. ^This was the coffee I made in the mornings. Found it at the local Marqt, it was about $5 per bag. ^My morning coffee on the deck.